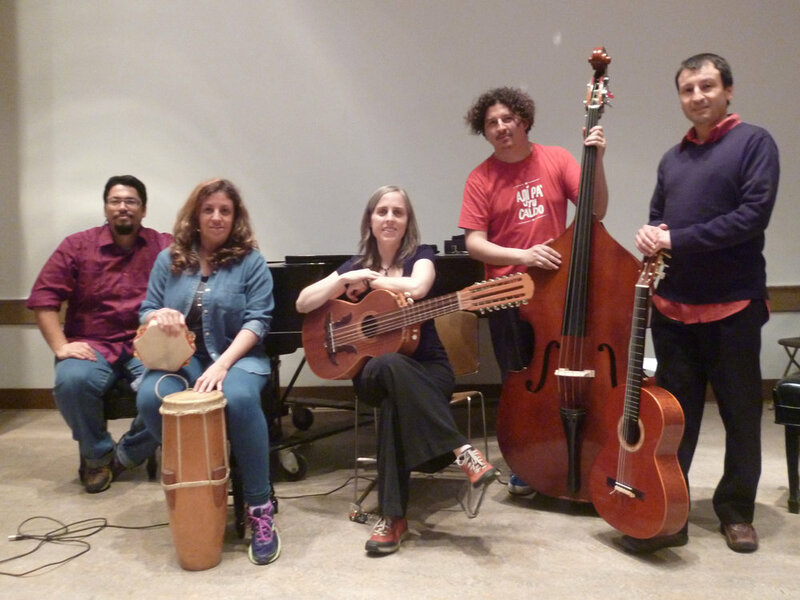 Evocative, joyful and firmly rooted in North and South American folk traditions, “Ends of the Earth” is a moving synthesis of distinct cultures, and an invitation to explore the emotional and artistic resonances between them. In a rare combination of craft and emotion, Chirihue's music is a vital expression of the human experience in Latin America, with poignant connections to specific regional traditions. On piano, voice, vibraphone, bass, guitar and percussion, they share songs and original works inspired in roots music of Chile, Panama, Venezuela and beyond. When she lays down South American grooves on guitar, audiences are hard-pressed to tell that Emily Pinkerton is a native of the Midwest. Born and raised in Valparaiso, Indiana, her musical education carried her to Valparaíso, Chile, inspiring a decade of immersion in Latin American music. "Valparaiso" weaves these two worlds together in a vibrant, transcontinental tapestry. Haunting vocals in Spanish and English soar above pulsating rhythms of Andean guitar and old-time banjo.